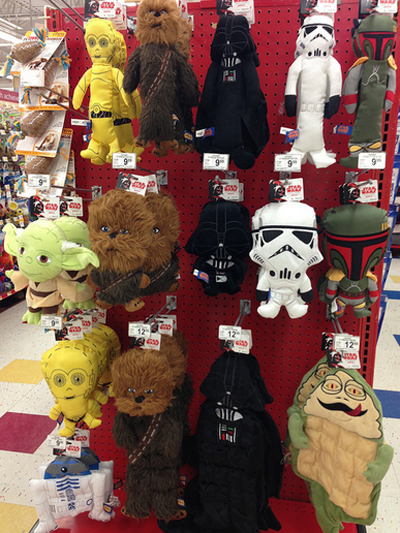 We were in Petco to get Oscar and Hugo a new water dish when this display stopped us in our tracks. 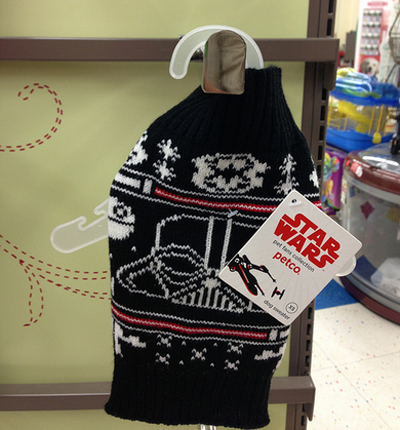 Star Wars dog toys. 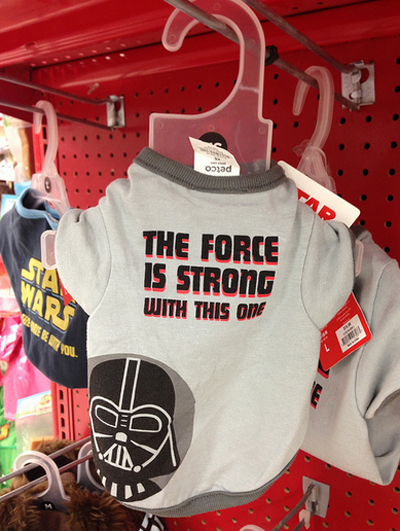 It's a Star Wars fan/dog owner's dream. Lookit that big, flat Jabba the Hut! 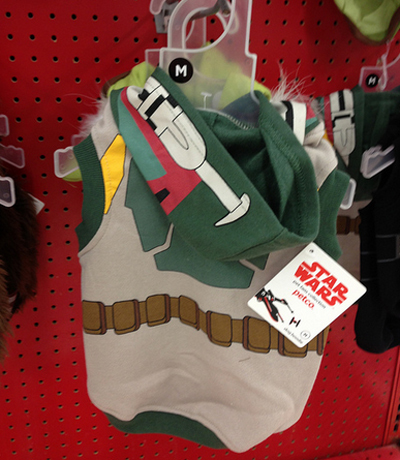 Hoodies... like this Boba Fett number. Sweaters for when it gets chilly. 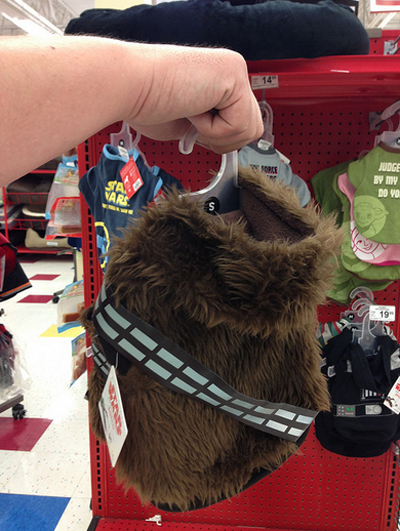 And Wookie coats for when it gets really cold! LOL! Oh yea. 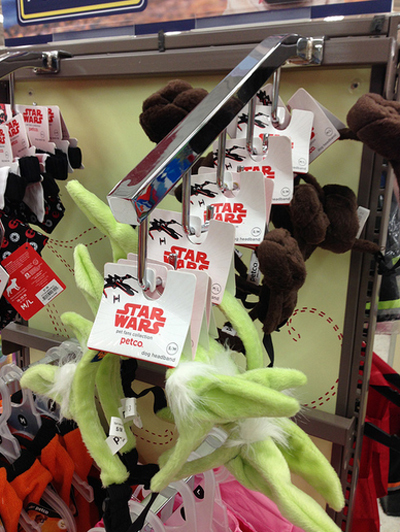 Yoda ears and Princess Leia buns to complete your dogs outfit.